July 10, 2018 Alumni, Brewing & Fermentation Science, Events, Faculty & Staff, Sciences, Humanities & Visual Communications Comments are disabled after 182 days. “Poured in Pennsylvania,” a documentary that explores the commonwealth’s thriving craft beer industry, will be screened Friday, July 27 – the eve of The Billtown Brewfest in downtown Williamsport. The film features Timothy L. Yarrington, instructor of brewing and fermentation science at Penn College, and is scheduled from 6-8 p.m. in the Michael Ross Center at Trade & Transit Centre II (144 W. Third St.). From America’s oldest brewery to taprooms popping up in small towns, GK Visual’s film follows Pennsylvania’s storied beer past, delves into recent growth and aims to capture the full tale of the beer industry in The Keystone State. Filmed throughout 2017 from Philadelphia to Erie, “Poured in Pennsylvania” visits breweries old and new, large and small … and a few that are still on the path to opening. Sponsored by the Lycoming County Visitors Bureau, Penn College and Straub Brewery, the free showing is limited to the first 240 people who register online. 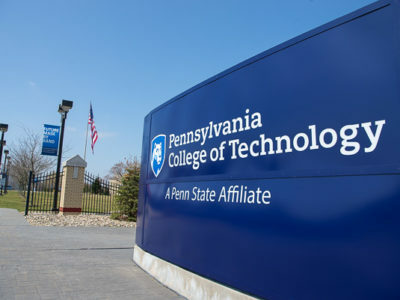 Penn College will staff a table at the Pine Square event from noon-7 p.m. Saturday, July 28, greeting alumni and sharing information about the college and its brewing and fermentation science major. Using the “PCTBrewfest” code when registering will reduce the ticket to $30 ($10 off).